Earlier this month I was invited to make a presentation on Breed Improvement Strategies to the Dog Breeding Reform Group (DBRG). The DBRG is a registered charity that aims to promote humane behaviour towards animals by providing and supporting initiatives to improve dog welfare. It wants to be “a voice for dogs” and was founded by Carol Fowler who now chairs the group. Recently, they were the recipient of the CEVA Animal Welfare Award for Charity Team of the Year 2018. Several members and trustees were present at the International Dog Health Workshop (IDHW) held in Paris last year, so had already heard my 10-minute version of the Dachshund Breed Council’s improvement journey. Two had also been participants in the IDHW Breed Strategy workshop sessions. This was, therefore, an opportunity for me to talk in more general terms about what a strategy for improvement might include as well as describing our approach in the Dachshunds. For me, it was also quite timely as our breed is about to meet with the Kennel Club’s Health Team to discuss the development of our Breed Health and Conservation Plan. We’re in the second batch of breeds; the first having included all the BreedWatch Category 1 breeds plus Cavaliers, Otterhounds, English Setters and GSDs. Dr Katy Evans has been leading on this for the KC and it’s a major project which will deliver a fantastic review of available evidence for each breed. I’ve also been working with Dr Brenda Bonnett and others who attended the IDHW to produce some resources on Breed Strategies which will eventually be shared via the IPFD website. I was, therefore, able to include some of that thinking in my presentation to the DBRG. There are already a variety of strategy documents produced by KCs around the world, notably the Nordic RAS documents. A strategy for a breed is broader than a plan for addressing a particular health issue. It may include any, or all, of the following: disease, genetic diversity, conformation, temperament and working ability. In my view, a strategy for a breed cannot be taken seriously unless it includes plans for implementation, including: Changing owners’ and breeders’ behaviours; Data collection, analysis and monitoring; Demand-side (buyer) actions. The danger is that the actions are defined in a way that is too vague for them to be implemented; for example “consider setting-up a DNA bank” or “look into the possibility of running a seminar”. We published our first Dachshund Breed Strategy in 2013 so an update and publication of a Breed Health and Conservation Plan 5 years on seems like a good revision point. Our Health Committee uses the KC’s Health Strategy Guide which covers 4 elements: Leadership, Planning, Engagement and Improvement. I didn’t really discuss Leadership much at the DBRG but it is evident that the direction given by our Health Committee in particular and Breed Clubs in general (through our Breed Council) is a significant factor in what we have achieved. Our policy has always been one of actions based on evidence and a determination to be open and collaborative. One of the questions raised during the presentation was about data and research: how much is needed before action can be taken? I have previously written about the tactics of the tobacco industry to sponsor ever more research rather than to acknowledge that there was enough evidence that smoking is harmful to health. Similar tactics in the field of canine health improvement (“we need more data”) really just delay the inevitable need for action but, more importantly, result in more dogs being at risk for longer than they should. The well-known quote is “weighing the pig every day won’t make it fatter”. With Dachshunds, we have more than enough data to tell us what our improvement priorities should be and our Health Committee agrees a current Top 3 plus a Watch List of other issues to be aware of. So, while we have done lots of data collection and analysis (and continue to have an online health and death survey), we invest more time and effort into actions that will lead to improvement. In my presentation, I spoke about some of our communication, engagement and fundraising activities. Many of these wouldn’t have been possible without social media; we use a combination of Facebook, Twitter, Instagram and our websites/blogs. We have 3 Pet Advisors on our Health Committee who spend huge amounts of time providing advice online and sharing links to our website advice pages. We are keen that the Breed Council’s pages are the “Go To” places for the most up-to-date information and advice about the breed. The elephant in the room was the shape of the Dachshund which, by definition, is an exaggerated breed when compared with a “normal” dog. It was great that Rowena Packer was present as she was co-author of a 2013 paper “How Long and Low Can You Go? Effect of Conformation on the Risk of Thoracolumbar Intervertebral Disc Extrusion in Domestic Dogs”. One of the conclusions in this research was that “selection for longer backs and miniaturisation should be discouraged in high-risk breeds to reduce IVDE risk”. The link between body length and the risk of back disease (IVDD) is by no means clear and we know the causes are multifactorial, involving genetics and lifestyle factors. Some people think changing the Breed Standard will make a significant difference, but change it to what? The FCI Standard calls for a shorter-bodied and longer-legged Dachshund, yet the evidence suggests their prevalence of IVDD is little different to here in the UK. I’m not saying the Breed Standard shouldn’t be changed but it’s not going to lead to major changes in IVDD risk. Our UK Standard was amended in 2008 to clarify the desired proportions and emphasise ground-clearance. 10 years on and we are still seeing dogs in the show-ring with legs that are far too short, overly-deep chests and long backs that are clearly nowhere near the Breed Standard proportions. These dogs are winning top honours as well so we have clearly failed to change the behaviours of judges and the breeding choices of exhibitors in the direction of less exaggerated dogs. Obviously, judges can only assess the dogs placed in front of them but they are doing us no favours if they don’t mention excessive length or lack of ground clearance in their critiques (assuming they actually know what the Breed Standard requires!). While the evidence of links between body length, length of leg and IVDD may be uncertain, it is hard to argue that exaggerating the conformation of our breed is good for the dogs. The recent article in Our Dogs about the proposed Animal Welfare Regulations explained how some campaigners believe it could be used to ban the breeding of brachycephalics. This could apply equally to other breeds with exaggerated conformation and a high predisposition to illness. I wonder if it’s time we had a Chondrodystrophic Working Group along the lines of the Brachycephalic one. Exhibitors (and judges) are a soft target for groups campaigning for improved dog health. We should be leading by example, otherwise, we get everything we deserve from our critics. So, while the conformation of Dachshunds may have been the “elephant in the room” at the recent DBRG meeting, I am pleased that groups such as DBRG are being proactive and challenging us to do better. Making sure the obvious really is obvious! Some people are caught out and surprised at the “unintended consequences” of a decision or action to improve breed health. For others, these are entirely predictable outcomes which are merely minor blips on the journey towards a more significant strategic goal. The world of breed health improvement has plenty of examples and, this month, I want to discuss some of these and see if we can draw any conclusions about why “the obvious” may not be so obvious to some people. The term “unintended consequences” originated in the world of social sciences and first appeared as “unanticipated consequences”. It is credited to Robert Merton in 1936 when he described the possible causes of unanticipated consequences as ignorance, error, over-riding of long-term interest by immediate interest and self-defeating prophecy. Of course, it is important to recognise that “unintended” is different from “unanticipated”. It is perfectly possible that a decision in relation to breed health, such as introducing a new DNA test, could result in consequences that, while unintended, are not unanticipated! Anticipating the consequences of a particular policy decision or course of action should be a core responsibility of the people making the decision or taking the action. A good example of unanticipated AND unintended consequences is the introduction of the Cord1 PRA DNA test for Miniature Longhaired Dachshunds around 2005. Breeders had long known there was a problem with PRA and had diligently used the BVA/KC/ISDS Eye Scheme to identify clinical problems in their dogs. Breed Clubs regularly ran eye-testing sessions and the results were published by the KC as the condition was on Schedule A (inherited diseases). The development of the DNA test led to a commercially available “solution” which gave breeders the possibility of eliminating the risk of dogs going blind at a young age. Unfortunately, it also meant most breeders stopped doing the clinical eye screening test. However, back in the day, very few breeders understood much about genetics and even less about genetic diversity. The language of Clear, Carrier and Affected was new to them, as were terms like homozygous and heterozygous. Jeff Sampson and Cathryn Mellersh did some amazing work educating breeders and trying to help them understand how to interpret and use DNA test results for individual matings as well as the wider implications for the breed. Despite this, messages like “it’s OK to breed with Carriers and Affecteds as long as you use a Clear dog” really didn’t sink in. What we saw, instead, was the stigmatisation of Affected dogs (and to some extent, Carriers) to the point where these dogs were removed from the breeding population. The unintended consequences were that the gene pool was further depleted and there was more selection pressure on Clear Stud Dogs, adding to the Popular Sire Syndrome and its associated risks. Being one of the first DNA tests, these were also probably unanticipated consequences; there was very little history to learn from and most messages were either not heard or not understood. Fast forward 10+ years and we have data from our 2015 Breed Health Survey of 2000 Dachshunds that shows Miniature Longhaired Dachshunds have several health issues seen with higher prevalence than in the other 5 varieties of Dachshund. They have, for example, four times the rate of Idiopathic Epilepsy and a clinical eye examination of a sample of dogs showed around three quarters had some degree of Distichiasis. Over the past year we have also had a cluster of reports of early-onset lymphomas which our Health Committee is concerned about. When the KC published its Genetic Diversity reports in 2015 we concluded “Declining registrations and the overall trend in COI, when taken with extensive use of “popular sires”, are points of concern for the Miniature Long-haired variety”. Learning from your own, or other people’s, past experience is one of the key ways to avoid or anticipate negative unintended consequences. When the Wirehaired Dachshund Club launched the DNA test for Lafora Disease in 2010, they had the benefit of learning from the Cord1 PRA experience. They recruited around 100 dogs for a heavily subsidised initial screening exercise and made the results public immediately. It was entirely predictable that some breeders would choose not to participate because of the decision to publish the results. The club felt it was important to be open and transparent about the extent of the problem in the breed. Other, new tactics were also employed, again learning from experience. Communication of the need for screening was directed at owners and potential owners, as well as at breeders. This helped to create “demand side” pressure for Lafora-screened litters. Publishing the data on the proportion of “safe” and “unsafe” litters every quarter from the Breed Records Supplement provided further evidence of progress and was a good way to recognise what was being achieved. A second aspect of avoiding or anticipating unintended consequences is to understand the systemic impact of a decision and potential perverse responses. The “system” for canine health improvement is complex and I’ve written about this before. Decisions made in isolation invariably impact on other parts of the system. Those who cannot think systemically are doomed to make “simple” decisions that result in unintended adverse consequences. This is the realm of U-turns! Perverse responses are not that unusual. With the Lafora DNA test, we had people denying that there was a problem in Mini Wires, despite the evidence from test results showing 10% of dogs were “Affected”. Another perverse response from some people was to challenge the validity and reliability of the test. In both these cases, the team managing the Lafora screening programme responded with a series of “myth-busters”. These were short, evidence-based, statements explaining the facts and debunking the myths. We anticipated these things would happen and had responses in place so that they made only a minor impact on our overall goal of stopping the breeding of Lafora-affected puppies. Interestingly, we also had some pleasant surprises when the Lafora test was launched. A number of Mini Wire pet owners started campaigning for wider adoption of the test by breeders. They added to the credibility of our communications with their down-to-earth stories of what it was like living with a Lafora-affected dog. In November 2016, the Dachshund Breed Council launched an X-ray screening programme for Intervertebral Disc Disease (IVDD) which is the most significant health challenge we face. The range of reactions to this new programme are pretty much what we anticipated and we realise this will be a much longer-term project than either Cord1 PRA or Lafora Disease screening. One surprise though, has been an unintended consequence of breeders having a decade of experience with DNA tests: the expectation that a screening programme can give a “definitive” answer. X-ray screening for complex diseases (e.g. Hips, Elbows, IVDD) can never give the same “Clear” or “Affected” answer as a DNA test for a simple, recessive mutation. We will therefore have to work hard to communicate the science behind IVDD screening and how the results can be used to reduce IVDD risk. In conclusion, in the world of breed health improvement, “the obvious” may not be so obvious to some people if they repeat the mistakes of the past, don’t think about the wider system and take a short-term, self-interest, perspective when making decisions. I’ll end with a quote that is usually attributed to Albert Einstein: “Insanity: doing the same thing over and over again and expecting different results”. It would be very easy to view this event run by the International Partnership for Dogs as a talking shop for those of us actively involved in breed health improvement work. I’ve not attended the previous two events, so have nothing to compare it with but, overall, it was an impressive example of international and inter-disciplinary collaboration. By inter-disciplinary I mean not just geneticists, vets and epidemiologists, but also breeders, owners and campaigners. Clearly, they are never all going to see eye to eye but this event majors on collaboration, with clear messages about what actions can be taken, even if it is by sub-groups of interested parties. Whenever you get dog people in a room, they inevitably want to talk about their breed and their specific issues. They are passionate about their breed and really want to find practical ways to improve things. That’s something of a challenge in this type of workshop because it can probably never deal with specifics like one breed and one health condition. The real value is bringing these knowledgeable people together to share what works and to generate some energy to create new resources for others to use. I had the privilege of making one of the plenary presentations and that was a nerve-wracking experience in front of an audience such as this. There were representatives of 17 Kennel Clubs, the FCI and world-renowned scientists as well as laypeople who “just” own dogs. Judging by the feedback, my session went down well. Quite how I was supposed to encapsulate the work our Dachshund Breed Council team has done in less than 15 minutes I don’t know. Nevertheless, I was able to give a flavour of our approach which combines everyone’s passion for the breed with some good data and some basic change management principles that I bring from my day-job as a management consultant. I am sure many of them found me something of an oddity; talking about my enthusiasm for data combined with ideas on how to enthuse people on health projects and change behaviours. The main work at the event was done in 6 breakout groups, each of which had its own theme and a team of facilitators to help guide and shape the discussions. I worked in the “Breed-specific health strategies” team which came up with some practical actions that should create a series of resources for breed clubs and kennel clubs around the world. What was fascinating to me, but probably shouldn’t have been surprising, was the impact of national cultures on which approaches will or will not work. For example, the Nordic countries are well advanced in developing Breed-specific strategies and have a culture where they can achieve high levels of regulation of, and compliance from, breeders. Others, like the Benelux and Southern European nations, would risk driving breeders away from their Kennel Club sphere of influence if they were as prescriptive. All this does, however, lead us to the definition of an interesting range of approaches and some understanding of where they might be useful and effective. a framework for defining the starting point for an individual breed (e.g. the characteristics that define the issues facing Cavaliers and how they differ from those affecting Bernese Mountain Dogs). a set of templates for breed data collection, covering health, welfare, temperament and conformation. There is a model for this already available via the AKC and we also have a health surveys toolkit available in the UK. a framework for summarising the range of options available to address health issues, together with some understanding of where and when each might be appropriate. This is needed to help give people practical solutions, but also to enable them to see why some may not work or what the unintended consequences might be. At the moment, it’s very easy for people to leap to solutions like “change the Breed Standard” or “do an outcross mating” without having defined the problem adequately. a set of implementation guidelines and case studies which address some of the behavioural change issues many breeds currently face. These need to cover aspects such as education, communication, “nudging behaviour”, recognition and enforcement. finally, some example templates for summarising Breed Improvement Strategies. The Swedish RAS framework is well-proven and, again, our KC has its Breed Health Improvement Strategy Guide. If we can put all this together, it will be an amazing resource for people to use. We need tools that are practical and which don’t require years of delay while more data is collected or more research is conducted. That’s not to say these won’t be necessary in some cases, but, for many breeds, they need well-thought through actions, sooner, rather than later. 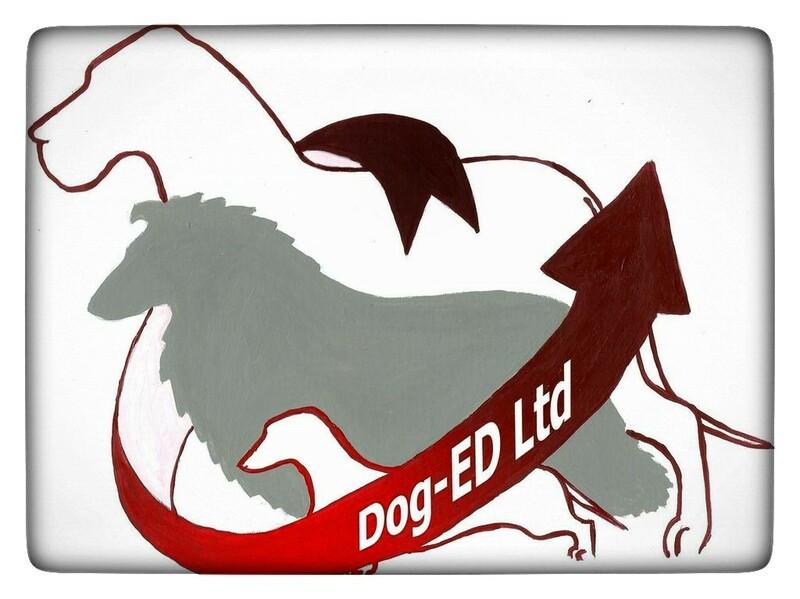 My definition of a “strategy” is an action plan with a rationale; this set of resources might just help accelerate the creation and importantly, the implementation, of strategies that benefit the dogs. I have blogged separately throughout the weekend about what happened at the workshop and the plans developed in each of the 6 workstreams. Time will tell if the energy visible in Paris actually turns into actions. Brenda Bonnett, CEO of IPFD did a fantastic job of designing this workshop and the French Kennel Club team brought it to life with a real passion. The next International Dog Health Workshop will take place in the UK in 2019. Paris will be a hard act to follow!